I know this is a little late, but I want to give a sneak peak at what we will be discussing tonight at The Awakening. Below is a portion of my manuscript. Let me know what you think. Maybe your comments can make it into the manuscript. One of the major transitions we go through in young adulthood is from Singleness to dating, to engagement and then to marriage. 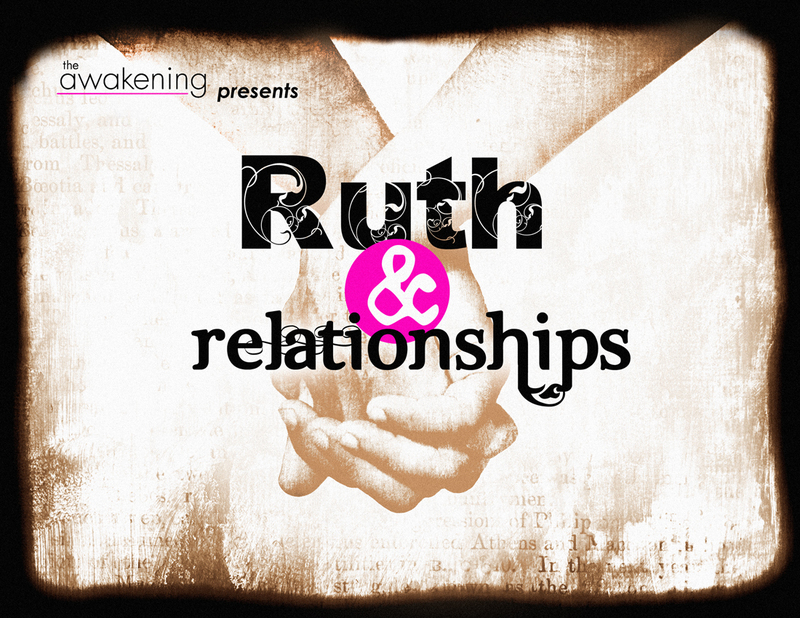 We are starting this new series called Ruth and Relationships to let God speak to these life stages so that we can be excellent in our relationships. ...The book of Ruth is a Story that Honors God. At the conclusion of this series and this book, you should see God as the hero in this story. The book of Ruth depicts God's hand at work in the day to day lives of his people to bring about his plans through redemption. In some sense, if Jesus himself told this story, we may call it a Parable. A parable has real life examples, and a heavenly message. The heavenly message being shared is that God has a grand plan, and that he will enter into the details of life, like our relationships, to carry his plan out. Isn't that amazing! 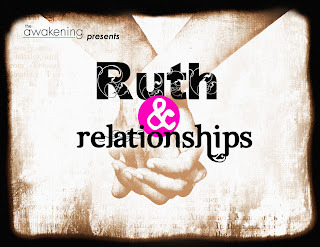 God works through the relationships of Ruth to carry out His plans! In doing this, Ruth honor's God with her relationships. I want your relationships to do the same. I want your relationships to honor God. Your journey from singleness through marriage is a parable that can tell others a story far bigger than your own. You can participate in something far bigger than your life. That is impact! Like the book of Ruth, the hero in our relationship story, can be God, if we will let him. The book of Ruth is an intensely intimate story of two woman in need of saving and finding help in the hands of a faithful man. It is a passionate story of the exceptional relationships of Ruth and Boaz. We will learn from her "singleness" in chapter one and look into the "dating" relationship between Boaz and Ruth in chapter 2. Then we will watch the actions of Boaz as he prepares for marriage in a type of "Engagement" in chapter 3 and eventually their marriage in chapter 4. I think keeping track of numbers is important because each number represents a person. More numbers saved is more people saved and that is why we do what we do. So are number important? You better believe it! Never at the expense of relationships with those people that the numbers represent. Also, Luke tracks the growth of the church throughout Acts. After Peter's first sermon he reports that 3000 men were saved. Later he quotes 5000 men saved at another sermon. Jesus feeds the 4000 and then the 5000 and he selected 12 disciples, a parallel to the 12 tribes of Israel. I think that NT Apostles, writers, and Christ himself were concerned with numbers. So taking their example, we should be too. Whoops! The previous comment should be on another post, obviously about the numbers.